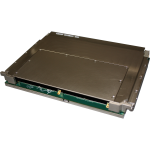 Annapolis FPGA boards are engineered for superior performance and maximum bandwidth. 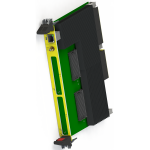 Both Altera and Xilinx FPGAs are leveraged to offer the best FPGA technology available and to fit customer preference, design requirements and production schedule. Following are Annapolis’ latest 6U boards. You can find all 6U boards listed below the table. 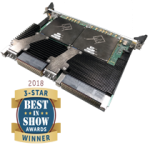 These FPGA cards paired with Annapolis OpenVPX compliant 6U backplanes enable even the most bandwidth intensive applications. 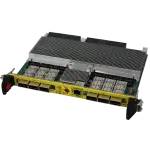 With included High Speed Serial (HSS) FPGA IP cores (including 40GBASE-KR), there is up 36 GB/s of backplane bandwidth on data and expansion planes. If I/O is required, Annapolis offers extraordinary density, bandwidth and analog conversion choices. 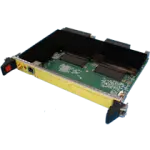 Each 6U card has two mezzanine IO sites which can support up to four WILDSTAR™ Mezzanine cards as well as a QSFP+ option (on WILDSTAR 7 and WILDSTAR A5 boards) that allows for six QSFP+ transceivers per slot. 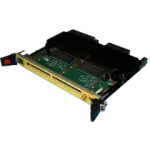 Other 6U FPGA card features include Hot Swap, On-Board dual core PowerPC, Management Processor connected to OpenVPX IPMI Management Plane, backplane user IO (LVDS, HSS, IRIG, Clocking), front panel RJ45 for PowerPC and front panel SMA (IRIG, Clocking).